Just in case anyone is planning to spent a ton of money on a "real" car, there is a warning on this one. The window sticker is a repro and the block is a restamp. Also, as of the time of production, the trans would have been a Muncie rather than a T-10. Such is our hobby these days. Edited by Verne_Frantz on 02-04-19 10:45 AM. Reason for edit: No reason given. Wow it would have fooled me! How can you tell the stamp and window sticker are fraudulent? Hey vernie, why do 1963 z-11's come factory with bench seats? i saw a couple 409's with this seat option, including a 1964 Impala convertible. 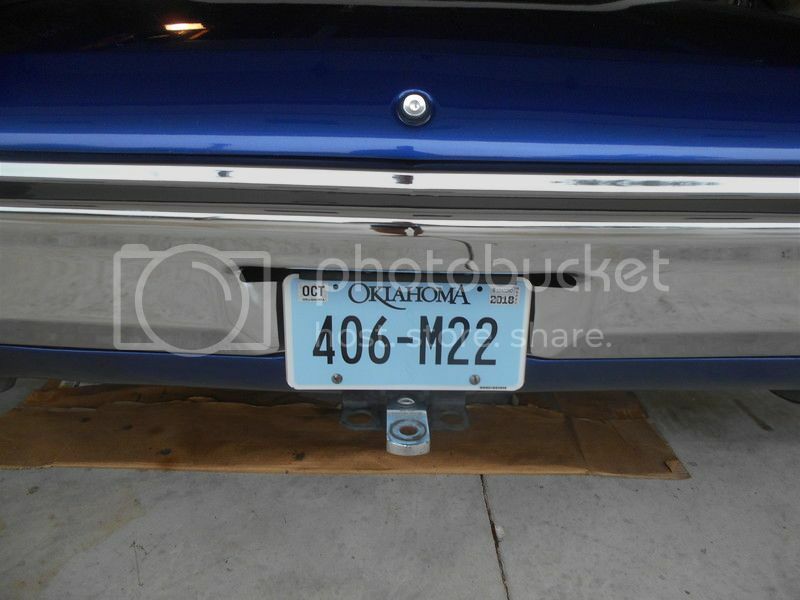 Would this make a 409 Impala car more authentic? I don't understand your question. The Z-11s did not have the Super Sport option, so no buckets. I have photos of original block pad stampings to compare. As for the window sticker, the ECL codes are wrong for the options specfied. Yes sir, I did find that odd. As far as the listing goes, your right about the restamp. Looks like they turned a 8 into a 2. Thanks for sharing. Borg Warner’s and Muncie 4 speeds both came in wide ratio and close ratio gears. Wide ratio 4 speeds are normally better for the street..
Verne, you oughta get a raise! You're a gem, sir! Sent an email to the Lister and asked him about the shortcomings of the Impala. His response was "I used the same description as the previous TWO owners". Admitted he was not a "Chevy" expert. Now being aware of this, I'd think he might seek some compensation for his purchase. These things could wind up in a big legal battle. Pretty sure there is a vin atop of the frame rail, I know a 61 Vette had just under the drivers door atop the rail. Maybe that may clear up some questions. Cadillac was located on the rear drivers side frame rail. Foggy memory from my time with GM from 62-86. The Vette I inspected 2 years ago. ALLLLLLLLLLLLL Chevy 4spds up through 1961 were CLOSE ratio T10s. In 1962, there were BOTH close and wide ratio 4spds. The customer DID NOT designate close or wide ratio ------------ THAT WAS DONE BY THE FACTORY, depending on engine and rear end ratio options. For example, if a car was ordered with a 4.11 rear, it got a close ratio 4sp. If it was ordered with a 3.36 rear, it got a wide ratio 4sp. Up through 1965, there was only ONE option code for a 4sp: M20. Again, the factory decided if the car got a wide or close ratio M20 4sp. Then, in 1966, there were 3 option codes for the 4sp: M20(wide), M21(close), M22(Heavy Duty CLOSE). There was NEVER, NEVER, NEVER a wide ratio M22. In mid-year 1963, the T10 was replaced by the Muncie (full size Chevys got the Muncie before the Corvette ---------- I think Feb for full size cars ----- Verne, chime in here?????). EXTERNALLY, ALLLLLLLLLLLLL Muncies (of the same year) look 100% identical. ONLY THE INTERNAL GUTS ARE DIFFERENT. If the 4sp is out of the car, then the ratio can be determined by the rings around the input splines, but if it is in the car, there is NO WAY to tell if it is an M20, M21, M22. Now, that brings us to an additional comment. In 1971, Muncie splines changed from 10splines on the input to 26splines, and from 27splines on the tail shaft to a larger, 32spline tail shaft. Now here is my point. Over the years, MANY, MANY, MANY armchair experts have professed to the world that if a Muncie has the 26spline input and 32 spline tail shaft, then it is an M22. WRONG, WRONG, WRONG, WRONG, WRONG!!!!!!!!!!!!!!!! WITHOUT EXCEPTION, ALLLLLLLLLLLL 71-74 Muncies had the 26/32spline shafts. BUUUUUUUUUUUUUT, there is one last exception to what I just said. IN 1970 ONLY, Chevelles --------- NOT Corvettes ---------- with a 454 and an M22, got an M22 with the 26/32spline shafts. Not very many 70 Chevelles got a 454/M22, thus, honest to God, true 1970 M22s with 26/32 splines are relatively rare. If a 1970 Corvette was ordered with an M22, it still got the 10/27spline shafts. Same with the 70 Camaros and Novas with an M22 (10/27splines). This is NOT an opinion by Tom Parsons, this is from factory documentation ---------------- which many of the armchair experts fail to research and obtain. Now, with all of this said, I did state above that an M22 was never available in a wide ratio ------------------ FROM GM. Today, there are some aftermarket gear sets for Muncies which provide various ratios. For example, the M22W gear set for a Muncie has the same wide ratio as the early M20 Muncies. Thus, if a person wants a REAL wide ratio M22, it is a simple matter of ordering the gear set and installing the gears in a Muncie case. My 70 Chevelle has a healthy 406SB, 2.73 12bolt posi and an M22W. GREAT all around combination with the added strength of M22 gears. OH, And by the way, ONLY ORDER Italian gears -------------- NOT Asian gears (even though they are cheaper). Yes, there is a VIN stamped in two locations on top of the left frame rail, but this discussion is not about whether the car had the frame changed (although it could have). This is about a bogus 409 built car that's trying to be sold for "real car" money. I get that, but if the vin is different than the provided paperwork, than it is bogus, no? Yes of course it is, but the VIN on the frame not matching the title is downstream of the actual fraud being perpetrated to this vehicle.